Comb busbar is one of the most basic switch gear instruments. 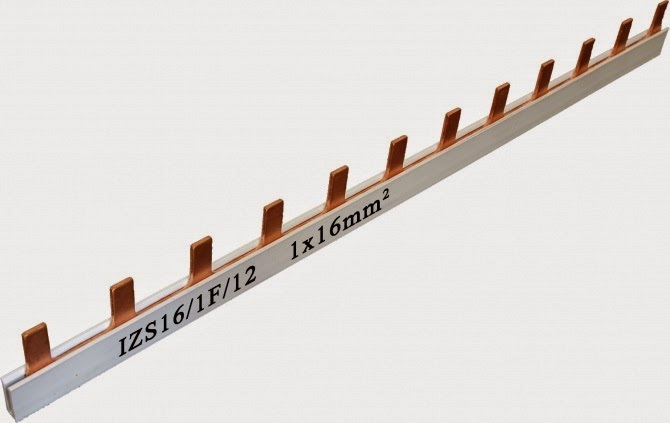 The main purpose of a comb busbar is to distribute power to switch gear components such as MCBs. There are two types of comp busbar viz, single phase comp busbar and three phase comb busbar. It can be found in small distribution boards that you can find at you home. Single phase comb busbar is used in single phase power distributions and three phase comb busbar is used in three phase power distribution systems. 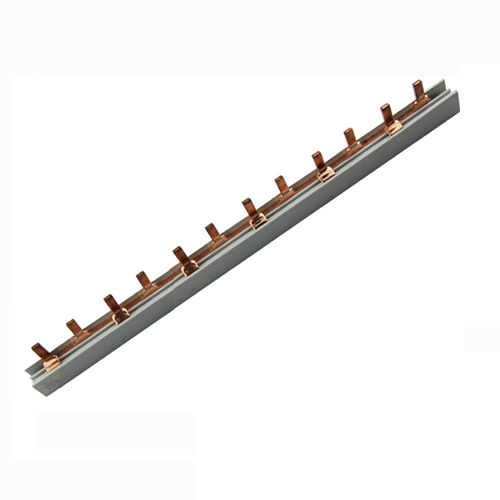 Two lead comb busbar are also available and are used in DC system. Residual Current Devices. 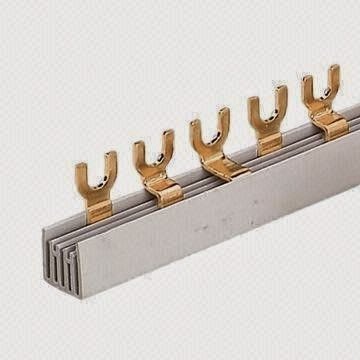 If comb busbar is not used, numerous wires should be connected to the ELCB/Isolator output terminals to supply the MCBs. Hence in order to avoid that a single comb busbar is used. 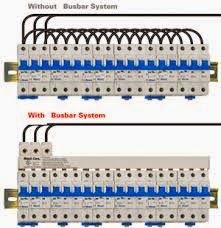 The comb busbar supplies numbers circuit breakers simultaneously thereby reducing the number of wires used. 2. Why is comb Busbar used.